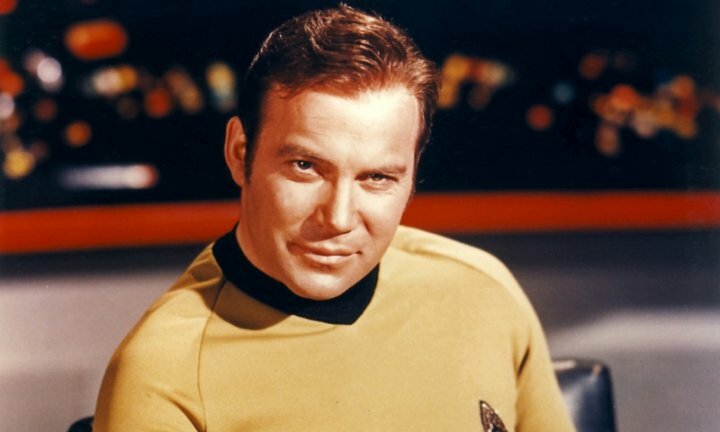 William Shatner Acclaims "Star Wars" For Creating "Star Trek"
"First of all, 'Star Wars' created 'Star Trek.' You know that?" William Shatner is at it again! Thousands of Star Trek fans attended Shatner's talk at last week's Star Trek convention in Las Vegas. They listened to and gasped in disbelief at Shatner's comments relating Star Trek's success to the sci-fi classic, Star Wars. If Shatner meant what he said on a factual basis, it was clearly factually inaccurate. 'Star Trek' aired from 1966 to 1969 on Television, whilst 'Star Wars' was screened in movie theatres in 1977. But how on earth did Shatner justify his claim at a 'Star Trek' convention? "The blockbuster success of George Lucas's "Star Wars" film brought "Star Trek" back to life. Every year there was the threat to be canceled. The third year, we canceled and, everybody acccepted it. But then "Star Wars: A New Hope" made a mind-blowing $775 million at the box office. At Paramount Studios they were running around bumping into each other. 'What do we got? What do we got to equal 'Star Wars?' 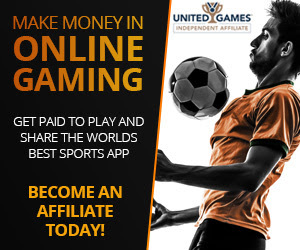 This is a big thing! There was this thing that we canceled, under another management, it was called Star....Trek? Let's resurrect that!" 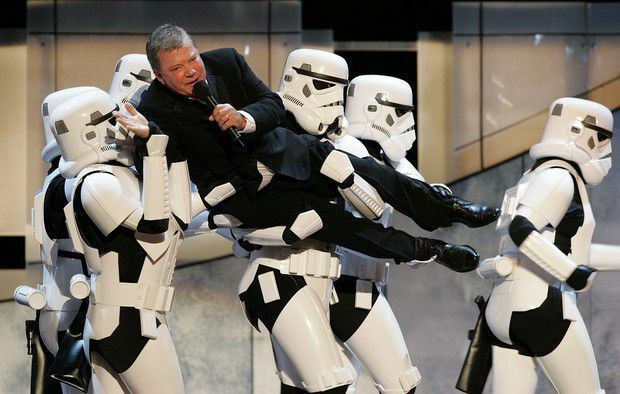 So, in Shatner's mind, how did Star Wars rejuvinate the Star Trek franchise? "It was 'Star Wars' that thrust 'Star Trek' into the people of Paramount's consciousness"
Is Shatner right with his assessment? Of course, it is fair to say that there was a revival in the Star Trek saga post-1977. 13 Hollywood movies and 624 episodes appeared in movie theatres and network television respectively over the coming decades. Star Trek definitely remains a massive force in the Hollywood box office today, as exhibited with the recent mid-July release of 'Star Trek Beyond', which has grossed close to $200 million. I will have to disagree with one final comment made by Shatner, however (and I would love to get people's views on this). Shatner: "Star Trek at its best tells human stories. It's philosophical. There's humanity. There's a principle involved And it's well done. It's about people. "Star Wars" was grand, like opera. It was huge with great special effects. It was a marvelously entertaining film, but it wasn't specifically about the people the way those Star Trek movies were." I think it's unfair to say that 'Star Wars' films fail to tell great 'human' stories. On a literal level, both of these films are based in far off worlds in outer-space, which bears little connection to the day to day activities of humans on Earth (i.e. fighting in space battles). At a deeper level however, I also think Shatner may have missed the point about 'Star Wars'. Yes fans love the special effects and the aesthetic spectacles the 'Star Wars' movies produce, but the fans also feel deep 'human' connections to the characters on screen. The Skywalker family is the connecting tissue of the Star Wars Saga. In a way, the underpinning crux of the movies revolve around the Skywalker heritage and the dynamic relationship between Darth Vader (Anakin Skywalker) and his son Luke. Without wanting to open a can of worms. What do you make of Shatner's comments? Do you agree or disagree with this controversial statement: 'Star Wars' created 'Star Trek'? I think there's a long history of mutual influence. Star Trek's lingering success in the 70s laid the ground work for Star Wars in 77. The success of SW led to paramount bringing back ST in 79. The 09 Trek reboot movie series draws more inspiration from SW than it does from authentic Trek. And there's a good argument to be made that the Force Awakens has more in common with the rebooted Trek than it does with the rest of the SW saga.